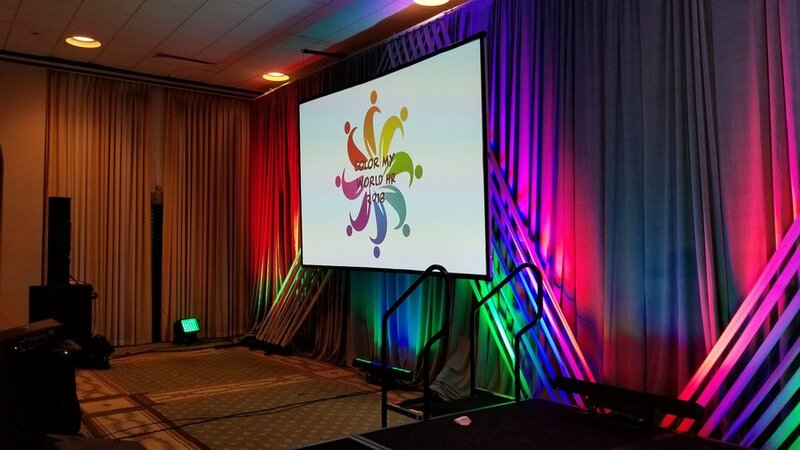 We're honored to have partnered with the Virginia SHRM State Council on designing and executing their annual leadership conference for several years now! 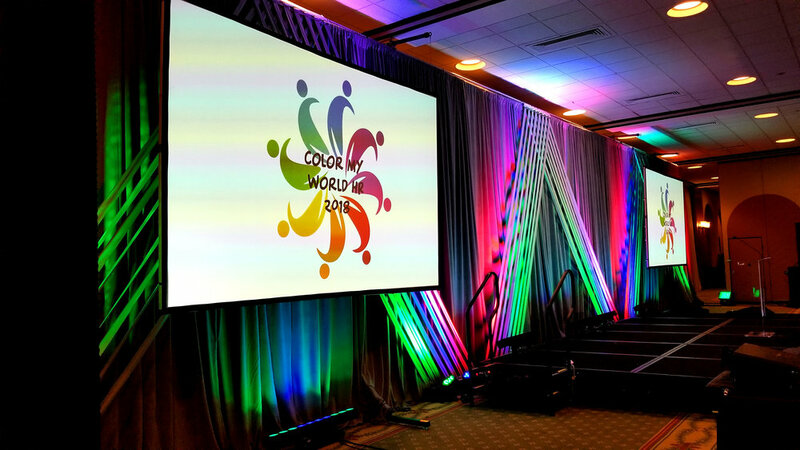 This past spring, we were tasked with designing a stage set to correspond with their theme, "Color My World HR." 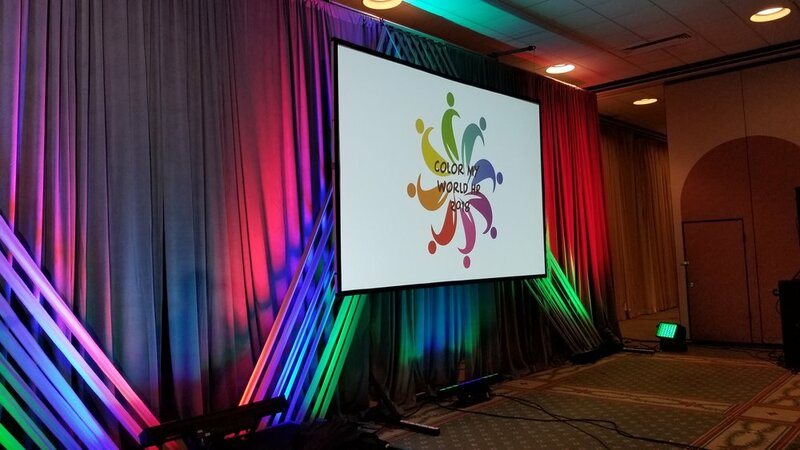 After seeing the event logo, we knew that we needed a high-impact, colorful set - but not one that would interfere with or detract from the content being presented. 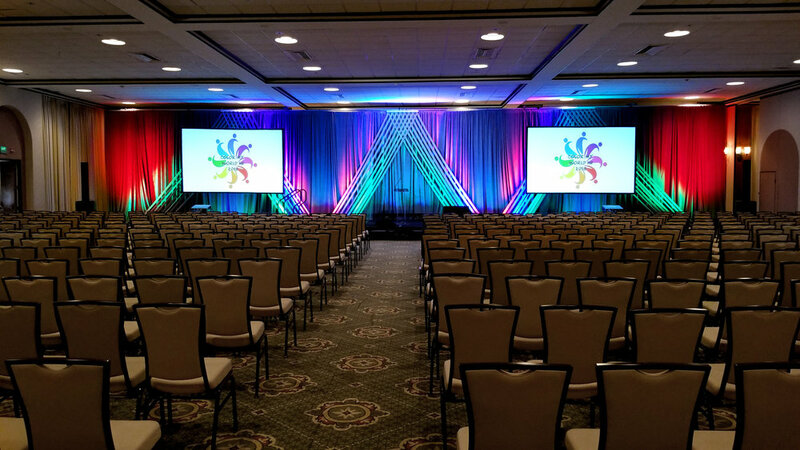 Enter the Udon panels from Atomic Design: These modular panels of fabric strips create the perfect canvas for colorful lighting, and the lines it created gave our backdrop the energy and visual interest that we needed. We used our high intensity projectors for the display screens to ensure there was no color bleed from the lights below, and voilà! 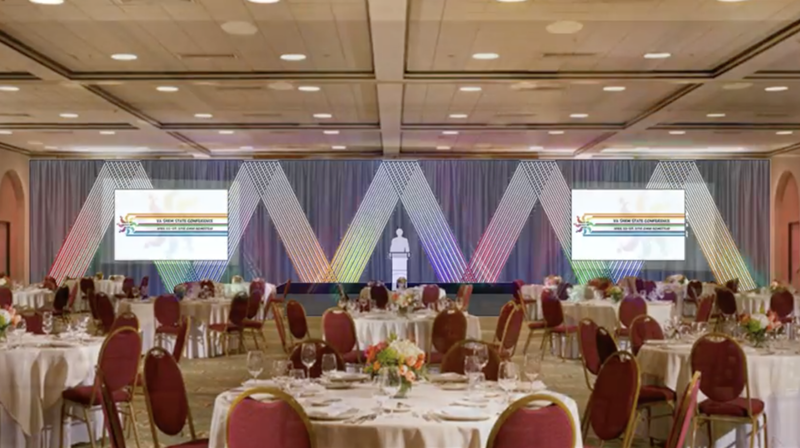 An impactful, yet simple set that supports the event branding and excites attendees!